number or the Out-of-Hours Service 111. You should call the NHS 111 service if you need medical help, you will be assessed, given advice and directed straightaway to the local service that can help you best. 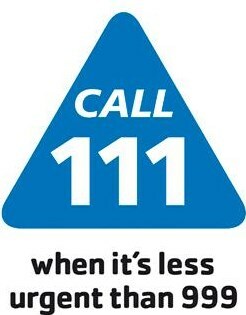 Calls to NHS 111 are free from landlines and mobile phones. Provides a minor illnesses and injuries. Mon - Friday 08:00 - 20:00 hrs no appointments. Soho NHS Walk-in Centre, 1 Frith Street, London, W1 D 3HZ. Tel 020 7534 6500. Provides a minor illnesses and injuries. Mon - Friday 08:00 - 20:00 hrs, Sat & Sun 10:00 - 16:00. Half Penny Steps Health Centre 427-429 Harrow Road, London, W10 4RE. Tel 020 8962 8700.